If you subscribe to the philosophy that "bigger is better," then you'll have no problem becoming completely obsessed with AFI's newest album Crash Love. That's because the sound is huge in every aspect of the word. something bigger, both lyrically and musically. "Torch Song" kicks off the album with an introspective look at a relationship that's doomed from the start. Musically, and in true AFI fashion, the song is as forceful as it gets. Crunchy guitars and flashy build-ups set an overall tone for this record that is not lost in any of the other 11 songs. The next few tracks bring us closer to the crash, and further from the love. The anthemic "End Transmission" paints a darkening picture of the world around us, begging that "we can never truly know who we are." Coupled with the tight rhythmic sections of bassist Hunter Burgan and drummer Adam Carson, "End Transmission" serves as the standout song in the first third of the record. Though the album starts out powerful enough, it really picks up its pace in the middle. 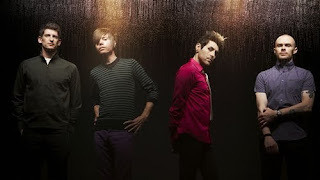 The infectious first single, "Medicate," seems like one of the lost songs from AFI's 2006 release, Decemberunderground. With a "Miss Murder"-esque breakdown, and a chorus as catchy as a fishing net, "Medicate" will undoubtedly serve as an alt-rock radio hit. Complementing the rest of the center section is "I Am Trying Very Hard To Be Here." A song truly displaying the vocal talents of lead singer Davey Havok. The band were also kind enough to let a few lucky fans come into the studio to record gang vocals for the track. Flash flash car crash! The final third of Crash Love presents itself as the ending of a harsh and unhealthy relationship. "Darling, I Want To Destroy You" comes to its climax with, And here's my favorite part/where you beg for my heart/and I disappear. If there's something beautiful in tragedy, then AFI have found it and used it to their advantage. key elements missing from this release. If you were a fan of Davey Havok's incredibly throaty screams from the past few records, you're going to find Crash Love to be tame as he refrains from any vocal cord grinding. No need to worry though. This record is a step in the right direction for the band. It's tight and concise. 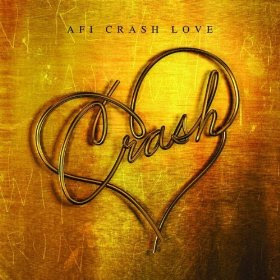 The arrangements fit well with one another, and lyrically Crash Love will deliver exactly what AFI fans expect. So what are you waiting for? Go grab it.